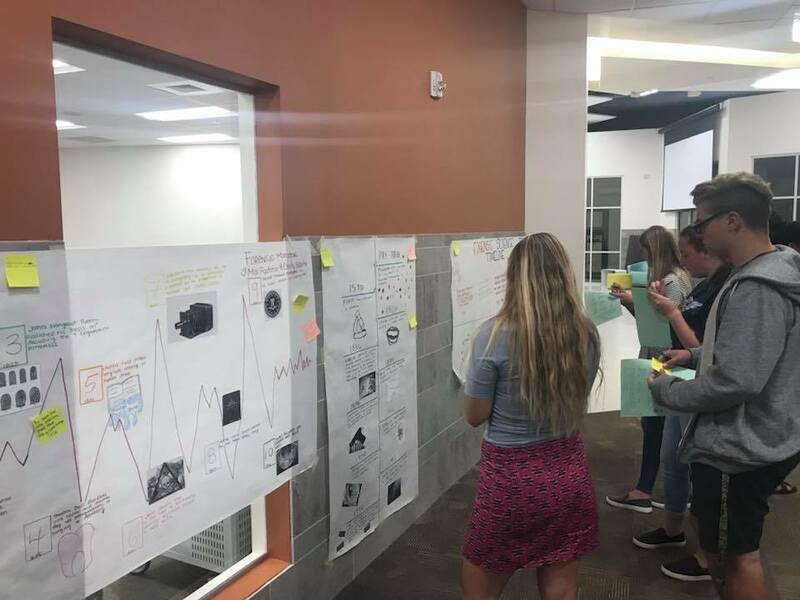 Ms. Grant's Forensics classes have been busy creating timelines for a crime scenario that they had created. They put a lot of work into their timelines and have hung them up throughout the halls here at he ALC. Yesterday, the students had the opportunity to grade each others timeline and give feedback and suggestions to what was great and what other information may have been missed. Ms. Grant is always good in getting her students engaged in their learning, as well as giving them hands-on experiences.